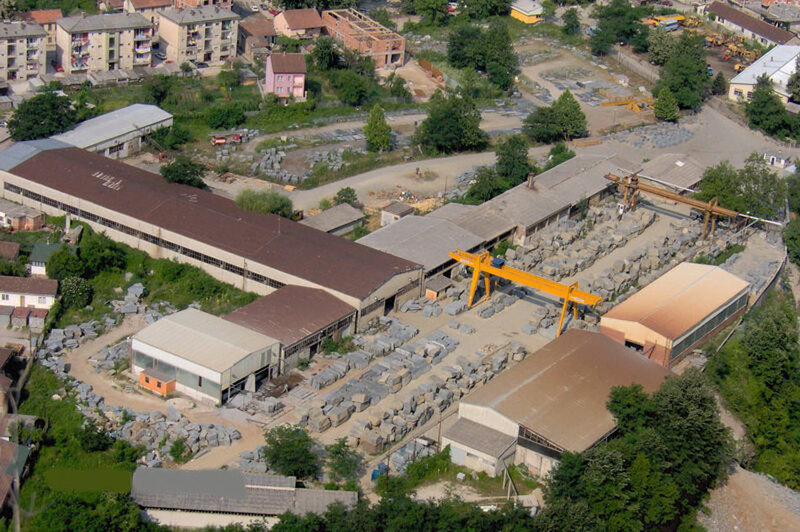 Granite Inc. Jablanica is a company that has been engaged in the mining and processing of granite (gabro) for almost a 100 years. 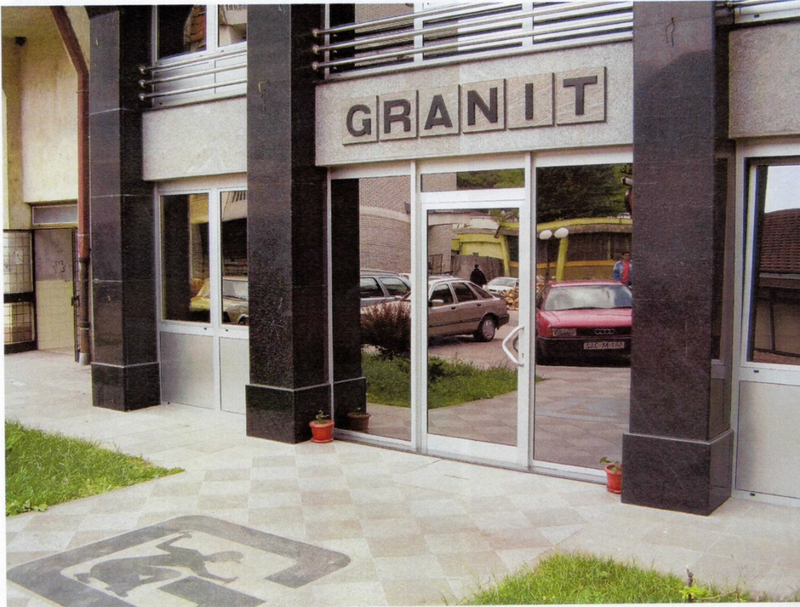 The firmness of stone grants its use in all types of buildings, and the mineral composition, the uniformity of firmness of its constituents, as well as its decorative features render its use in architecture as versitile. 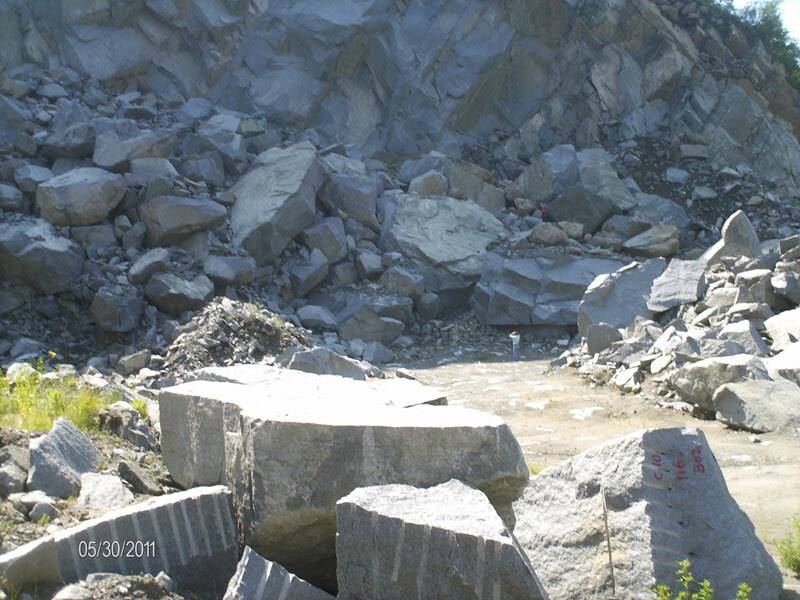 The mineral composition, the uniformity of mineral firmness give the stone a perfect polish and great gloss. 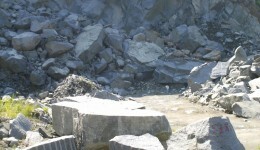 Knowledge about the stone and mines do not mean much in itslef if it is not applied in architecture and sculpturing. Where the buildings, monuments and paved streets and squares of granite from Jablanica, a small town in Herzegovina, located between the canyon of the Neretva River and Prenj Cvrsnica, today are is almost impossible to determine. The Vienna Opera, the Academy of Sciences in Moscow, or Berlin City Hall are just some of the important structures that boast our stone. 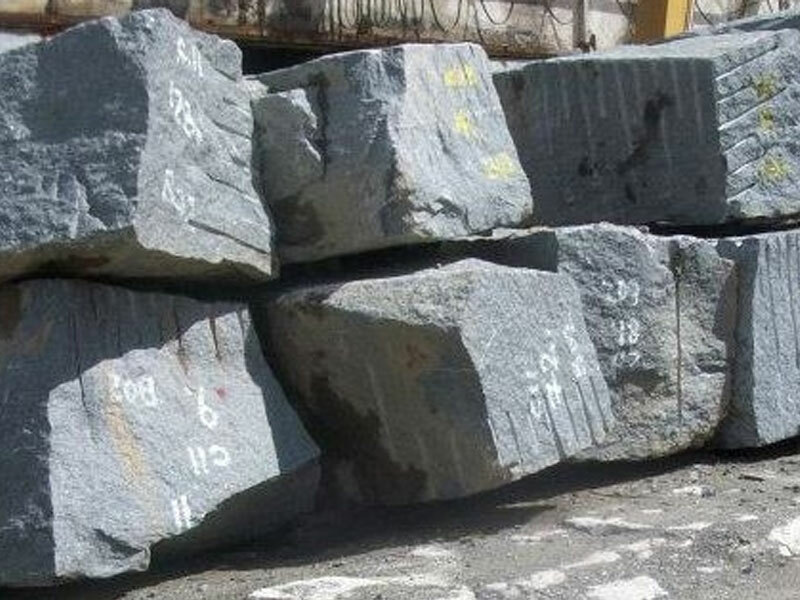 Many now know Jablanica through the granite, the popular “Gabro” an unusually hard black volcanic stone, which has found its way across Europe, the Americas and Australia. 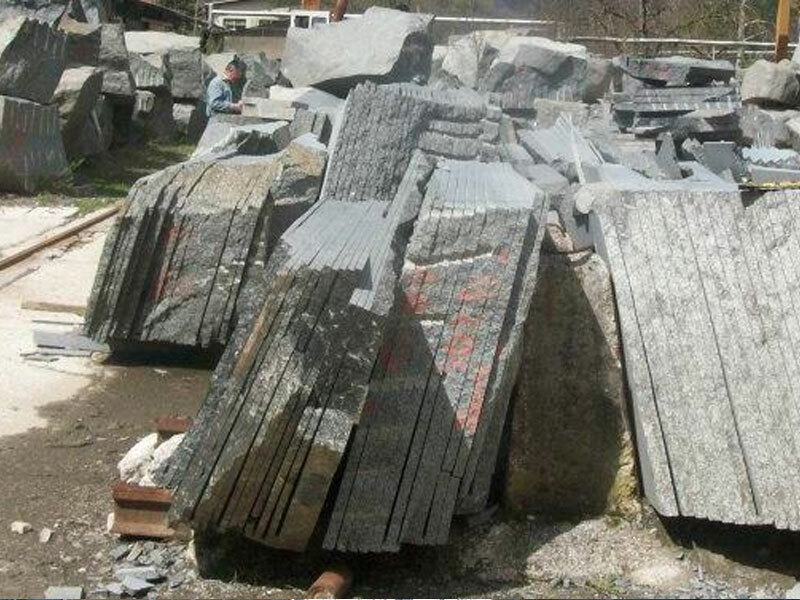 If you are wondering about the reason, the worldly renowned artist Ivan Mestrovic has described the Jablanica granite as “indestructable and longer lasting than the basalt monuments of Nubia and the Egyptian pyramids”. Mestrovic used the black granite from Jablanica to create his famous monument of the Unknown Hero on Avala, Belgrade. 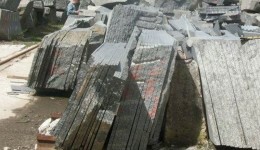 It is this project, which, in 1935 was to be the first major work of that very granite industry. 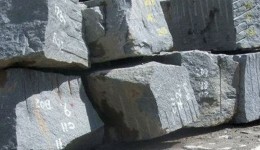 The value of this stone, which according to some “does not know time” was not only recognized by Mestrovic, but also other great names in sculpturing and architecture, such as Dusan Džamonja, Bogdanovic, Kranjc, and others. As a symbol of eternity, this is a stone is paving the plateau in front of the United Nations building in New York. 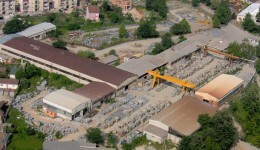 Learning of the quality of this stone, many architects, planners, sculptors, and all those who know stone, have ensured the beauty and monumentallity of many world famous buildings, besides the afore mentioned ones, and the justice building in Budapest, a large hotel complex in Yalta, the post office and railway station in Sarajevo, etc. 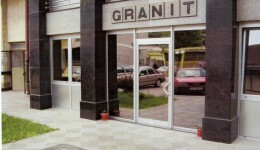 This stone embellishes the squares of Zagreb, Belgrade, Budapest, Moscow, Vienna … It paves the ? ?plateau at CSC “Skenderija” in Sarajevo, the Knez Mihailova street in Belgrade (Serbia), the Hayat Hotel in Belgrade, the sports center “Cibona” Zagreb (Croatia),Ban Jelacic Square in Zagreb,” Stock Exchange Square and the Austrian Square in Zagreb (Croatia), A. Starcevic Square in Osijek (Croatia), Tito and Ferhadija street and square in front the Parliament of Bosnia and Herzegovina in Sarajevo, squares and walkways in Nis (Serbia), the pedestrian zones of Zrenjanin (Serbia), pedestrian areas and plazas in Kragujevac (Serbia), the metro in Budapest (Hungary), the hotel “Bristol” in Mostar …. Among the many monuments that are made of granite mausoleum on the Njegos mausoleum in Lovćen (Montenegro), the Memorial Park “Vraca” in Sarajevo, the Popina monument in Kraljevo (Serbia) … It is close to impossible to find any graveyard in the region which does not have a monument made from Jablainca granite.